Home of Swami Satyananda Saraswati and Shree Maa's Shakta Temple and Ministry. The Devi Mandir site hosts a wide variety of online classes in RealAudio, as well as several sermons in streaming video. The bookstore sells many puja outlines and other traditional Hindu resources geared towards a Western audience - including a several instructional videos on how to perform puja, and how to draw a yantra. The FAQ is really wonderful and addresses many topics relevant to IndoPagans, such as how to set up an altar, and how to invoke Divinity into a murti. Shree Maa has been featured in several books about living women saints, and has a wide-following. She has recorded inspirational and instructional CD's of bhajans, as well as mantras and pujas, that can be purchased through this site. Swami Satyananda Saraswati is a Western-convert who has been recognized as a traditional Hindu sadhu, and who is constantly writing resources for Westerners on Hindu practices. He makes himself regularly available to those who write to him via email with spiritual questions. He has a delightful manner and style to his teachings that are a joy to watch or listen to. This is the home of Hinduism Today, and of the teachings of Satguru Sivananda Subramuniyaswami, who is also a Western-convert. The Himalayan Academy produces a wonderful amount of information written for Westerners about the Hindu sect of Shaivism (although his particular lineage does promote a subservient social role for women, and ascetic moral standards, as well as the need to completely conform to Indian culture in order to practice Hinduism). The site hosts many wonderful texts online, including How to Become a Hindu, Loving Ganesa, Merging with Siva, and Living with Siva. There are also many downloadable courses on Hindu culture and religion. These are excellent resources that accurately reflect the viewpoint of many Hindu lineages, and can provide an great foundation in the Shaiva sect of Sanatana Dharma. The Sandalwood Grove is a Shakti Witchcraft grove within the collective of The Order of the Sacred Grove (OSG), a modern American Witchcraft tradition located in the San Francisco Bay Area. We are currently open to seekers who wish to journey deeper into the magickal arts. Interest in Indian (Vedic) and other Eastern traditions, dreamwork, shamanism, and tribal magic encouraged. 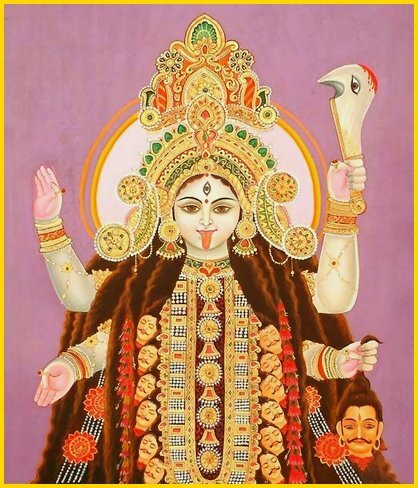 Shakti Wicca is the mother tradition to The IndoPagan Project. It is a universalist Shakta bhakti tradition that embraces elements of tribal and folk Shaktism, such as shamanism, mediumship, psychicism, divination, and the usage of practical magick. Shakti Wicca is an eclectic, self-initiatory, primarily solitary, non-dogmatic resource tradition - meaning that facilitators guide dedicants along the path, teaching them the necessary occult and spiritual skills to gain the experiential knowledge to make descions regarding liturgy, dogmas, esoteric correspondances for themselves. This Wiccan tradition utilizes the 8 Wiccan Sabbats and the Esbats, as well as a Wiccan ritual format. The remainder of their spiritual inspiration is derived from the Shaivism sect of Hinduism.